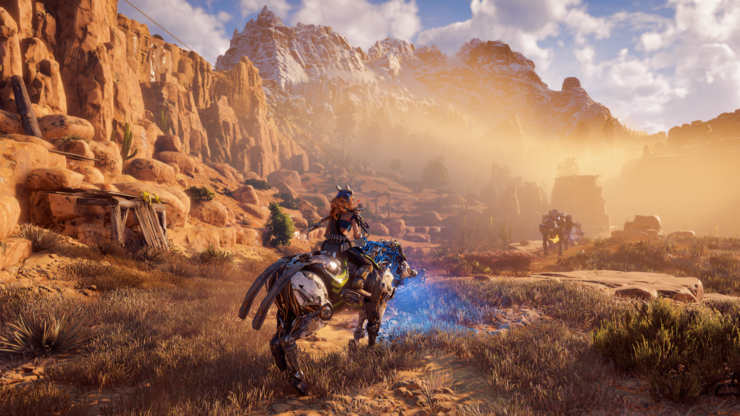 Horizon Zero Dawn Patch 1.32 has been released by developer Guerrilla Games, which offers various fixes and an all-new easier difficulty mode. The update adds “Story” difficulty to Guerrilla’s action-RPG which allows players to immerse themselves in the deep narrative of the game by making the combat easier. In addition to the new difficulty, the update offers fixes for technical issues, progression issues and crashes. To highlight the features in patch 1.32, Sony has released a new video which can be watched below. We’ve also included the full patch notes. Horizon Zero Dawn is available now exclusively for PlayStation 4. The game’s first expansion, The Frozen Wilds, will release on November 7th.